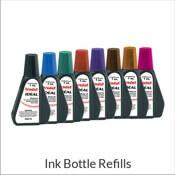 If you need an ink to label lightly color materials, order this 4 oz. 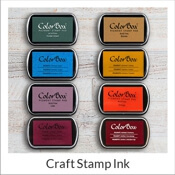 Permanent Clothing Ink to use with a dry pad. 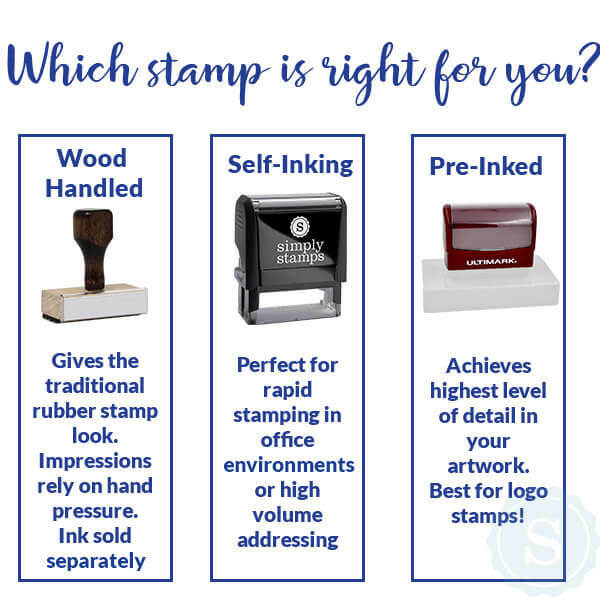 Make sure to let the dye set after stamping for at least an hour to make a permanent bond. 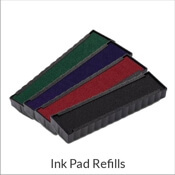 The ink should stay on the pad moist and usable for several days with the lid closed. We recommend keeping your inked pad in a sealed/air tight bag (like a ziploc) between uses to reduce the extent of ink drying on the pad. Great for labeling clothes, bags and more! Order yours online here now! 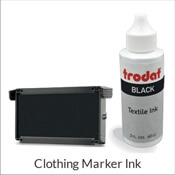 Note: This ink is not to be used with the Trodat Clothing Marker Stamp (4911CM) or its replacement pad.